This kitchen features a Venetian plaster hood and Jerusalem stone backsplash in two colors to create a striking focal point! Additionally, it features a stained maple island to contrast the paint and glaze cabinets. The professional kitchen designers at Lang's are eager to help you get started on your next project! 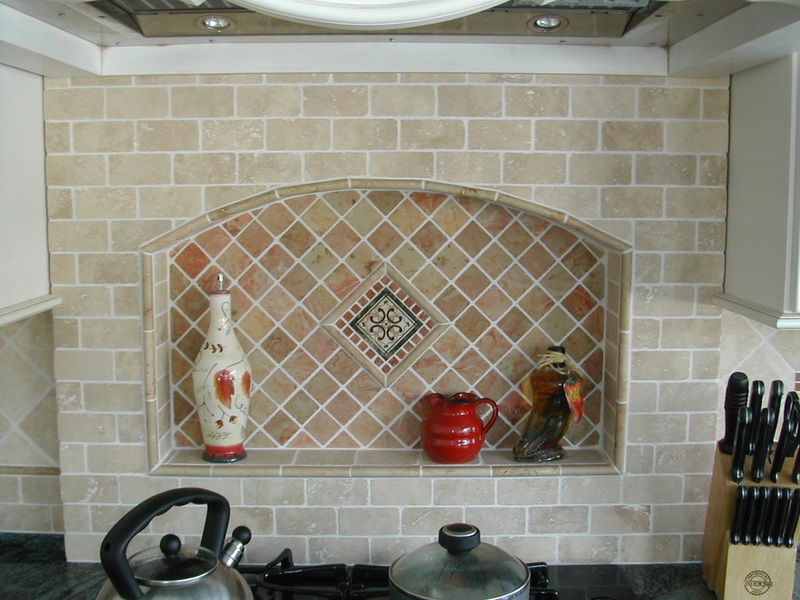 The Venetian plaster hood and Jerusalem stone backsplash in two colors are a striking focal point for this kitchen renovation. A stained maple island contrasts with the paint and glaze cabinets to complete the look of this kitchen design.